A recent editorial published in the BJSM by Malhotra et al. reports that saturated fat is not the culprit when it comes to all-cause mortality, coronary heart disease (CHD), CHD mortality, ischaemic stroke or type 2 diabetes in healthy adults. 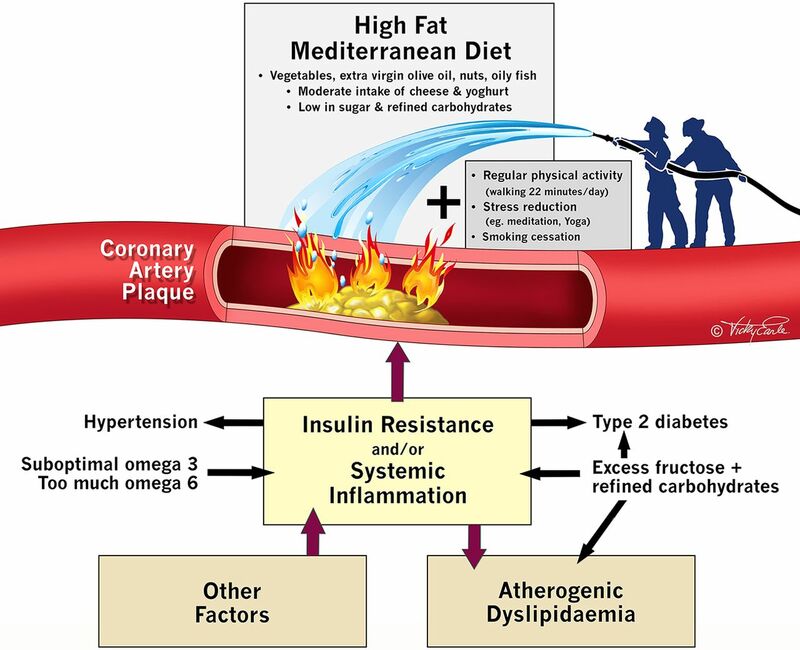 Reduced fat diets have not shown to be beneficial for preventing myocardial infarction, cardiovascular or all-cause mortality. In fact, in one study, saturated fat actually decreased the progression of atherosclerosis, while carbohydrate and polyunsaturated fat intake were associated with increased progression. So why is this important for physiotherapists? The editorial also reports that healthy lifestyle interventions are effective at reducing the risk of conditions like CHD: "Compared with physically inactive individuals, those who walk briskly at or above 150 min/week can increase life expectancy by 3.4–4.5 years independent of body weight. Regular brisk walking may also be more effective than running in preventing coronary disease." Read the BJSM editorial and find further references here.